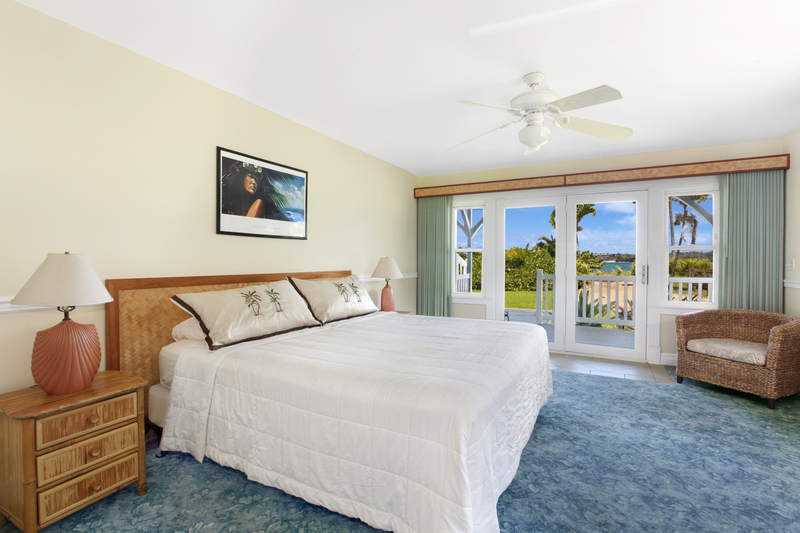 When one dreams of a Hawaiian vacation, those dreams include views of the deep, blue sea and verdant mountains. All from the comfort of a private lanai, to be enjoyed with a morning cup of local coffee or a cool drink in the sultry afternoons. 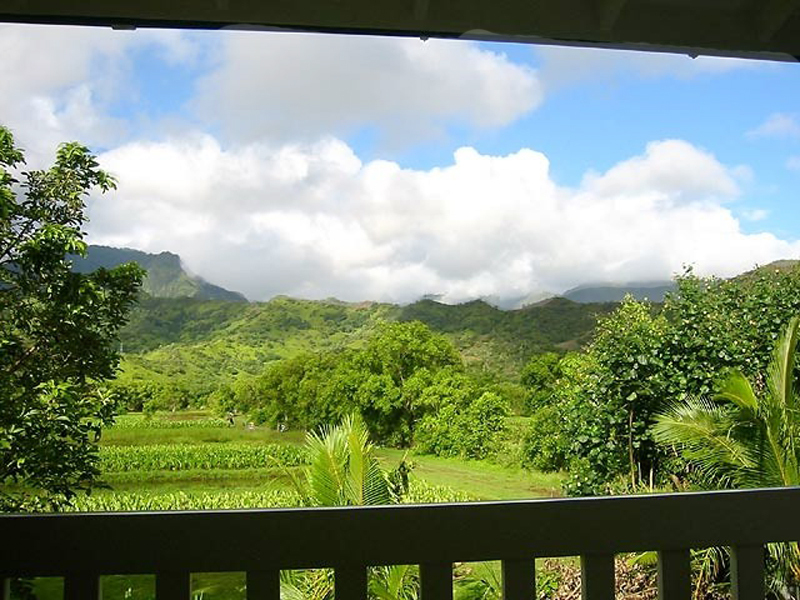 At the Hanalei Plantation, just minutes from quintessential beach town of Hanalei, your dreams will come true. 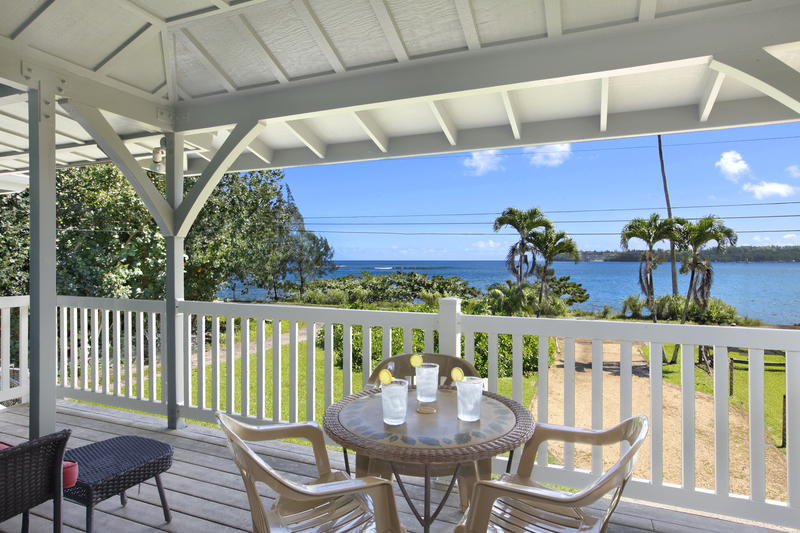 This 2-story home offers all that, and so much more, to visitors to the stunning island of Kauai. Unobstructed ocean views are just outside your front door and the unexpected bonus of mountain views are just outside the back. These views continue throughout the interior of the home as well, with nature’s vistas outside nearly every window. Surrounded by the beauty and the rhythm of nature, you’ll soon relax and find yourself in tune with island time. The lower level of your vacation home offers a spacious living area and 2 bedrooms on opposite ends of the home, ensuring your privacy. The kitchen is fully equipped and ready for the family chef with everything needed to create anything from a simple snack to a full meal. The top level of the home features 2 more bedrooms, again on opposite ends, and another living room, offering a lovely separation for either separate families, separate age groups or just someone seeking a little quiet. 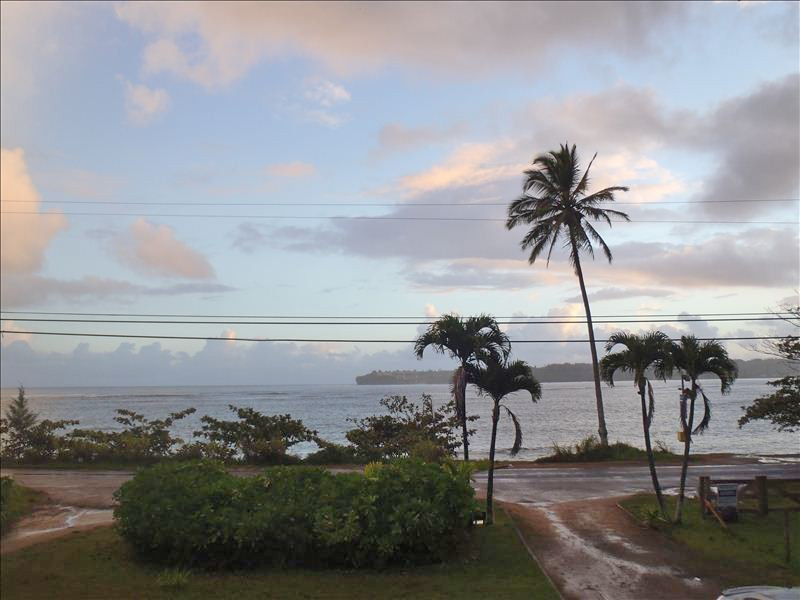 The charming town of Hanalei offers a multitude of eclectic shops and restaurants and is a great way to spend a day. Don’t forget Hawaii’s favorite treat, a shave ice! 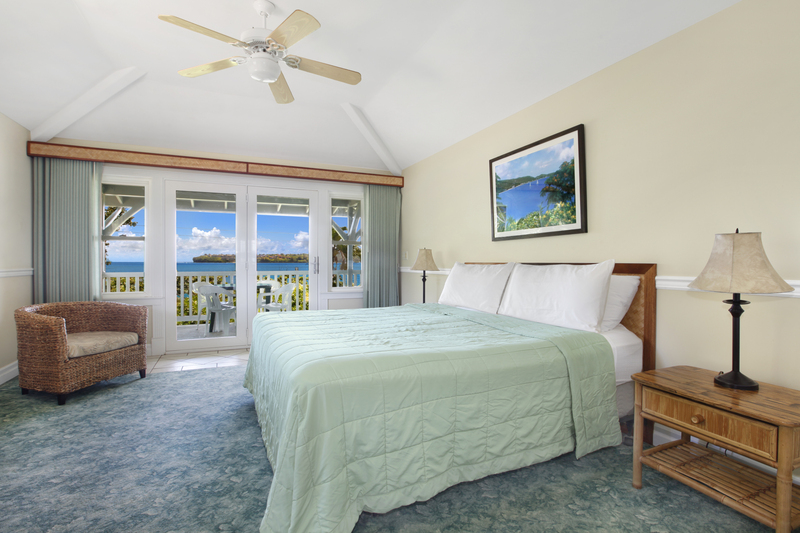 World-renowned Hanalei Bay is also right at your fingertips. Make sure you take time to enjoy the crescent-shaped bay and watch the surfers. Kauai is everything you’ve dreamed of. We look forward to welcoming you to the Garden Isle, with its incredibly diverse natural beauty, its wide range of shopping, dining and attractions and its ever-present spirit of aloha. the current situation. Nearest sandy beach access is .07 miles away. 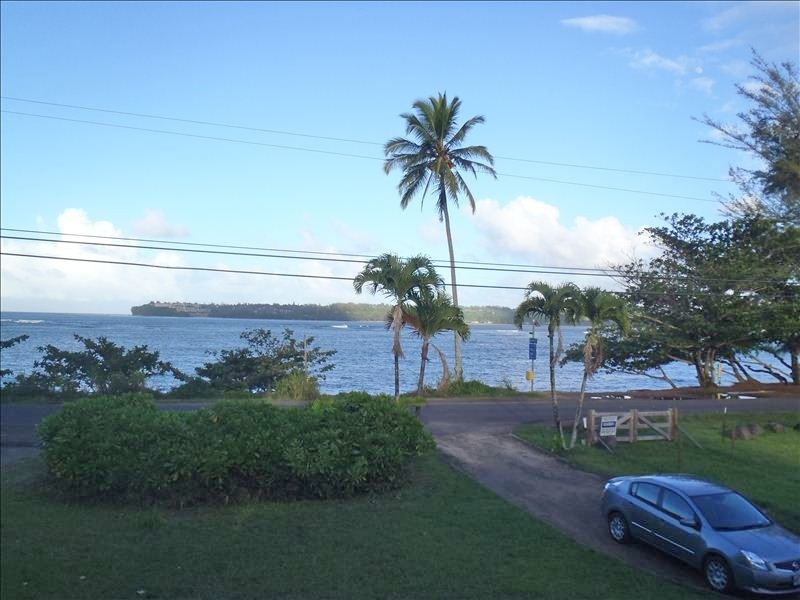 Distance to Hanalei town is one mile.